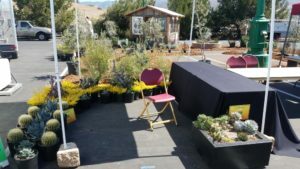 Just wanted to add a quick post to share our booth set up and landscaping display at the Fall Home & Garden Expo at the Madonna Inn last month. It was a beautiful day and we had a great time meeting new and current clients as well as helping set up the display. Here was our fun selection of plants for our booth to show off a varied and colorful drought tolerant landscape options. Here is the finished display. Check out what a little bark, plants, and lawn can do! Now imagine what it would look like fully installed in your yard. It is perfect for our central coast living lifestyle and can be scaled up or down to fit your needs. 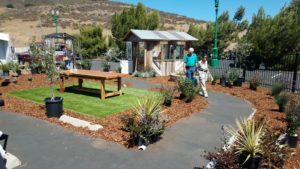 Please give us a call at 805-544-5296 or visit us at allseasonslandscaping.com to find out more about installing a new landscape or refreshing a current landscape and we hope to see you at the Spring Home & Garden Expo!